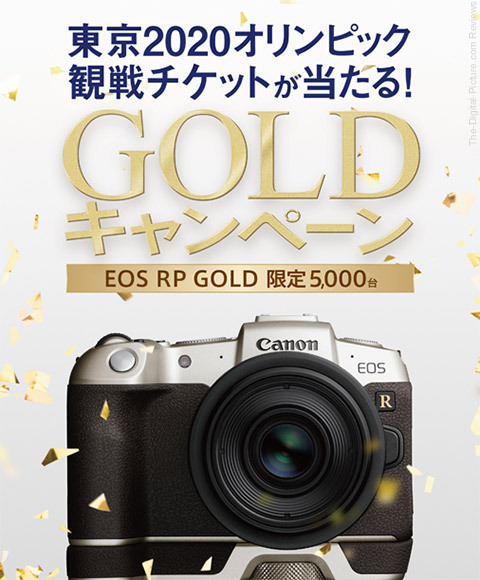 Canon Japan has announced that it will be producing 5,000 limited edition Canon EOS RP Gold cameras in mid-March to celebrate Tokyo hosting the 2020 Summer Olympic Games. The Canon EOS RP Gold camera will come in a body-only and with-lens (RF35 mm F1.8 MACRO IS STM) kit and will be bundled with a Control Ring Mount Adapter EF - EOS R and an Extension grip EG - E1. 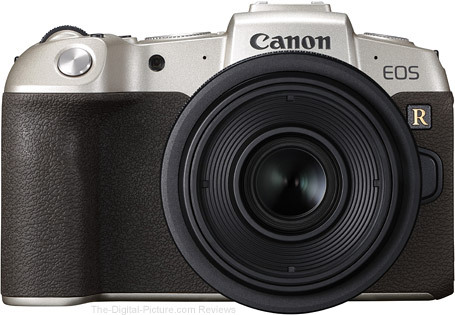 Those who purchase the Canon EOS RP Gold will also receive a free Canon Tokyo 2020 Memorial Leather Camera Bag (with Name Tag) and a Leather Strap as well as qualify for a drawing to receive free tickets to see an Olympic Games event. B&H has the Canon EOS RP available for preorder (standard color only).